Some may know of Ellie Kemper for her comedic roles in The Office and Unbreakable Kimmy Schmidt. In her extended limelight, she gets pitted as a dorky spokesperson for new Buick vehicles, including the Encore, Enclave, Regal and the all-new Cascada convertible. 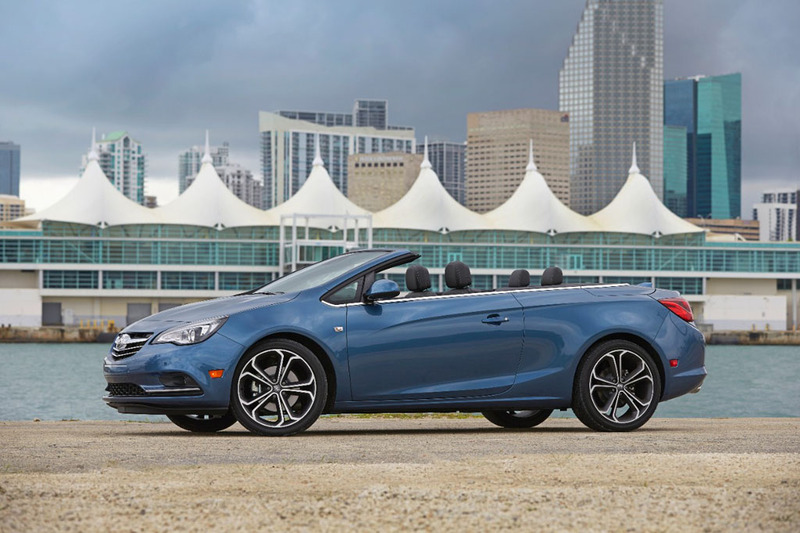 The full 3-minute clip will combine all four vehicles for a quick overview of their “luxuryness.” In separate 30-second clips Kemper’s charming dorkiness is expended, quickly, to demonstrate highlighted features of the all-new 2016 Cascada, which Buick will have on sale by the end of Summer this year initially featuring a standard 1.6-liter turbocharged 4-cylinder engine with 200 horsepower and 207-lb-ft of torque (221 lb-ft with overboost) sent to the front wheels by the way of a 6-speed automatic transmission. 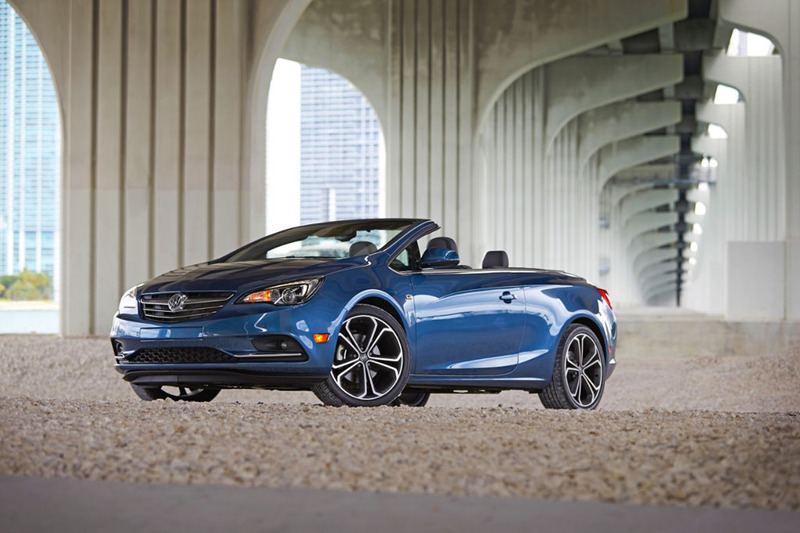 DETROIT – The 2016 Buick Cascada expands the brand’s portfolio with a dynamic, stylish convertible that uses innovative powertrain and chassis technologies to complement the driving experience. 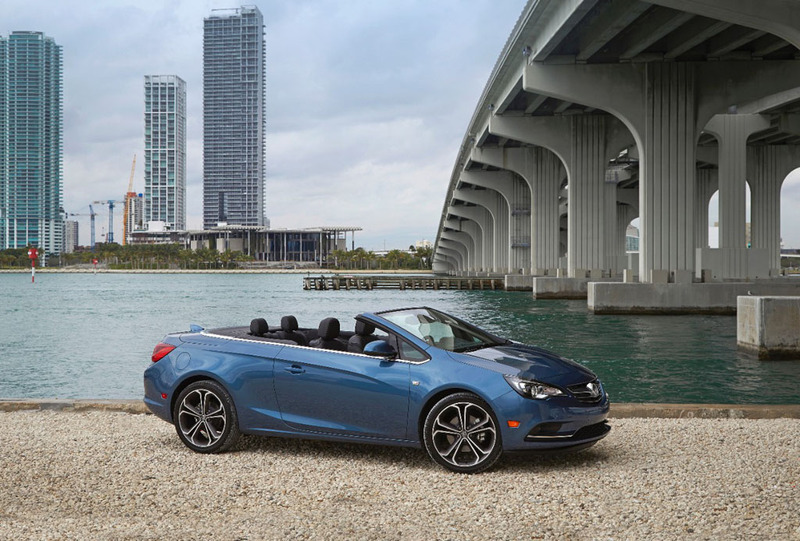 The Cascada’s 2+2 configuration offers comfortable room for four adults, with an expressive driving experience rooted in a rigid body structure – and strong performance from a 200-horsepower (149 kW) turbocharged engine. 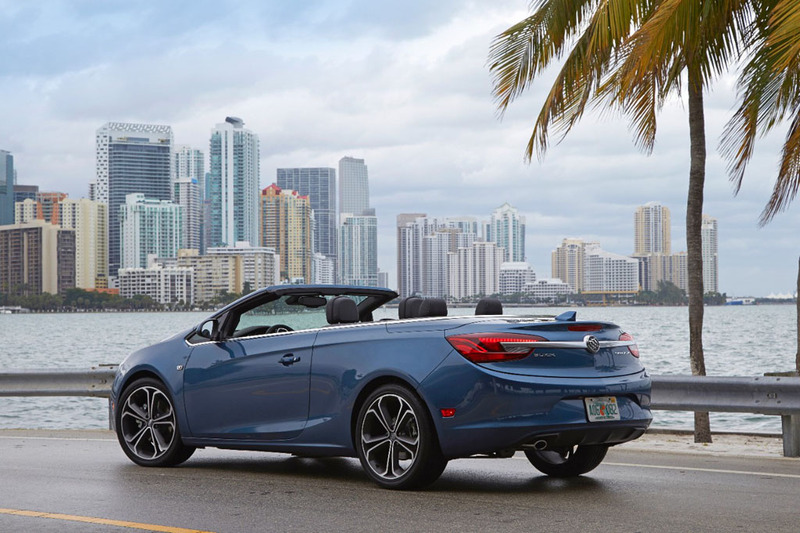 Cascada’s top-down driving experience is priced at $33,990 (including destination charge, but excluding tax, title, license and dealer fees) and offers more standard content and a lower MSRP than Audi A3 Cabriolet. Front and rear air deflectors. An electronic rear-seat entry system automatically powers the front seats forward by simply pressing the seatback forward. It moves the seats back when the seatback is returned to the upright position. Additionally, electric safety belt presenters use telescopic arms to slide the upper front safety belt assemblies from behind the front seat into closer reach for easier buckling. The Cascada also has plenty of storage space for the trappings of a weekend getaway, including 13.4 cubic feet of cargo room with the top up and 9.8 cubic feet with the top down. It also has as a 22.4-inch x 12.6-inch (320 mm x 570 mm) pass-through from the trunk to the passenger compartment. When the 50/50-split rear seat is folded, longer items such as skis and wakeboards can be stowed inside. The 2016 Buick Cascada features a uniquely reinforced structure designed to complement its refined appearance and enhance its versatility, while bolstering the car’s strength, rigidity and chassis precession. Special features include spring-loaded, pyrotechnically activated roll bars behind the front seats that are linked to the air bag system. When deployed, they extend approximately 14 inches (358 mm) to match the height of the windshield. The body structure allows the top, its folding mechanism and the roll bar apparatus to be stowed below the car’s “belt line” and under a hard tonneau cover, for a smooth, uninterrupted profile. It also enhances cargo space by enabling the pass-through from the trunk to the passenger compartment. A reinforced “torsion box” bulkhead behind the rear seats that incorporates the pop-up roll bars. As a result of the structure’s rigidity, engineers were able to tune the suspension and steering systems with a high degree of precision, because they didn’t have to compensate for chassis flex. 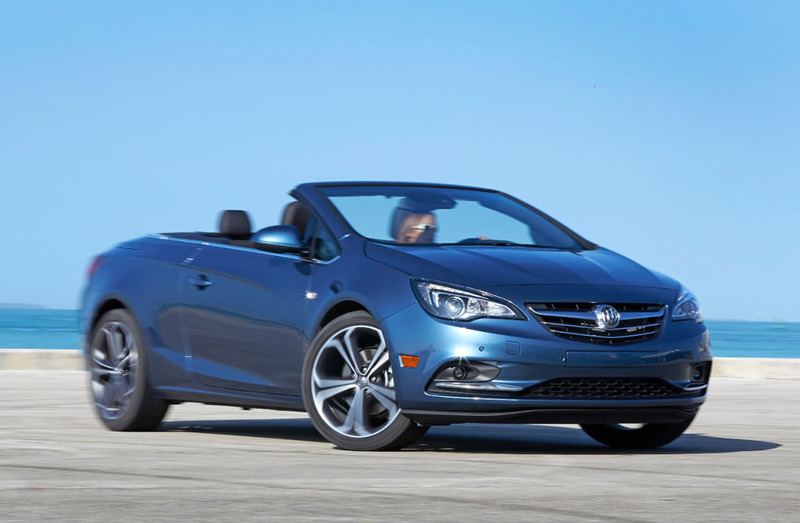 The Cascada is driven by a 1.6L turbocharged engine rated at 200 horsepower (149 kW). With more than 100 horsepower per liter, it’s one of the most power-dense engines in the segment. It delivers strong torque, estimated at 207 lb-ft (280 Nm) and an estimated 221 lb-ft (300 Nm) with the overboost feature. 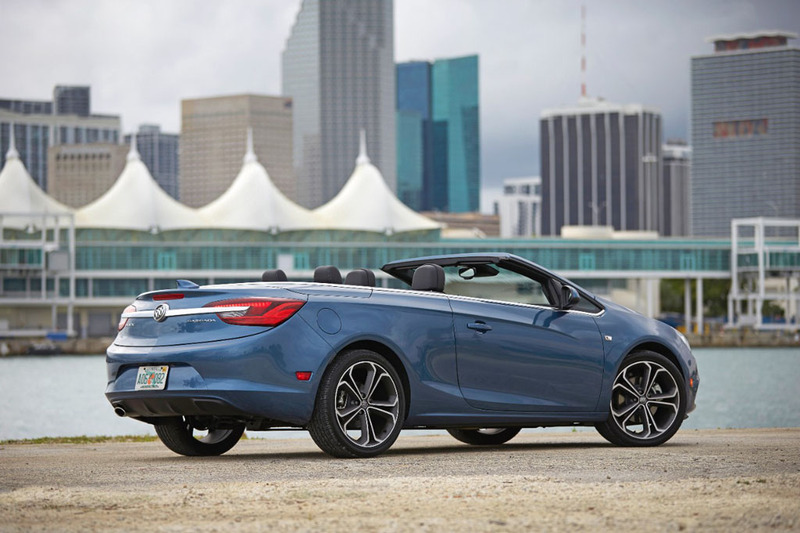 FAST FACT: Cascada is the first Buick convertible in the United States in 25 years.